Mangoes are an essential part of any Asians diet. Purely for the delicate deliciousness of the sweet sensual juices that blast me into ecstasy every time!! Luckily in London you can get Indian, Bangladeshi and Pakistani mangoes. 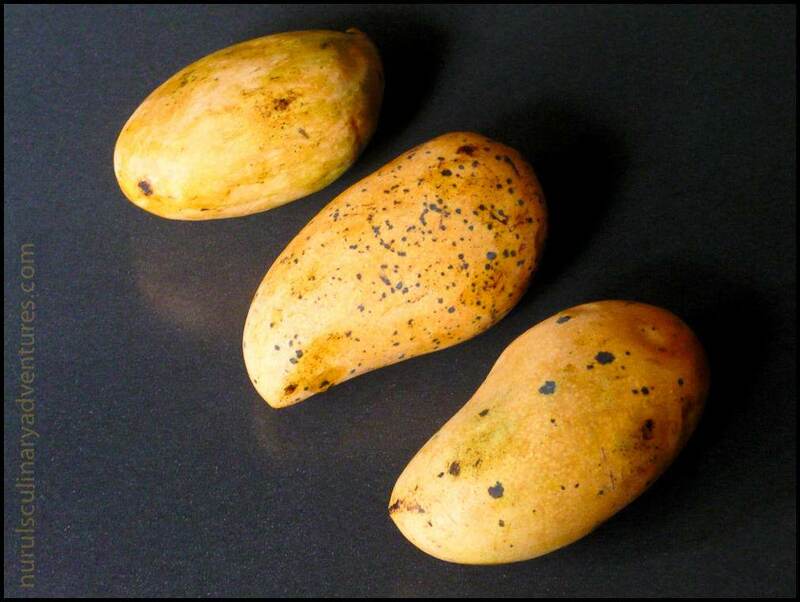 Their sweetness is worlds apart from the huge tasteless mangoes imported from Brazil you get in the supermarkets in London and Berlin. Absolutely no offense meant. I’ve never been to South America and I’m sure they keep the delicious ones for themselves!! Berlin is such a sad case as these are the only mangoes you can get unless you know which time of year to go to the Indian or Asian food stores. 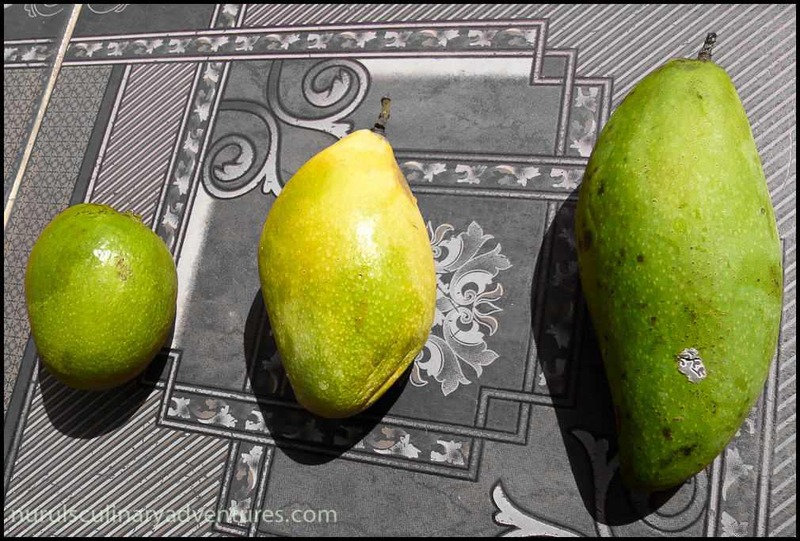 European summertime is when the Indian, Bangladeshi and Pakistani mangoes ripen and are available in (obviously) the Bengali, Indian or Pakistani groceries dotted all over east London. Now back to Cambodia. Here you seem to get mangoes all year round (bliss 🙂 )!! Ripe and delicious and sweet. Here are some pics of the varieties I’ve tried so far. Svai Lahuat in Khmer. Sweet and bright orange inside. They seem to available all year round here in Cambodia! 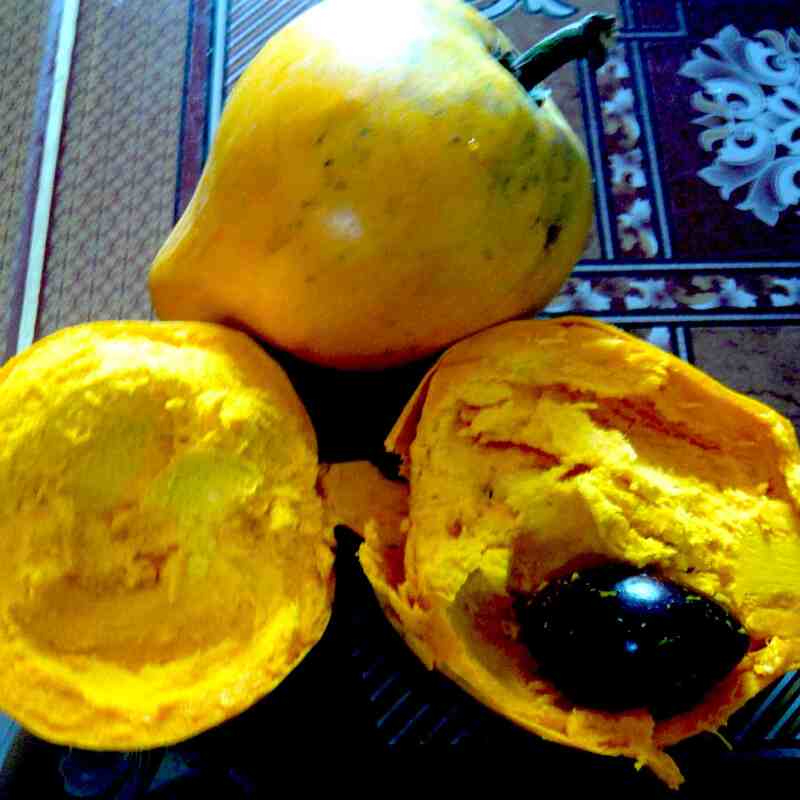 Here’s an amazing looking fruit that I picked up on the Thai side of the Poipet border coming back from Bangkok. 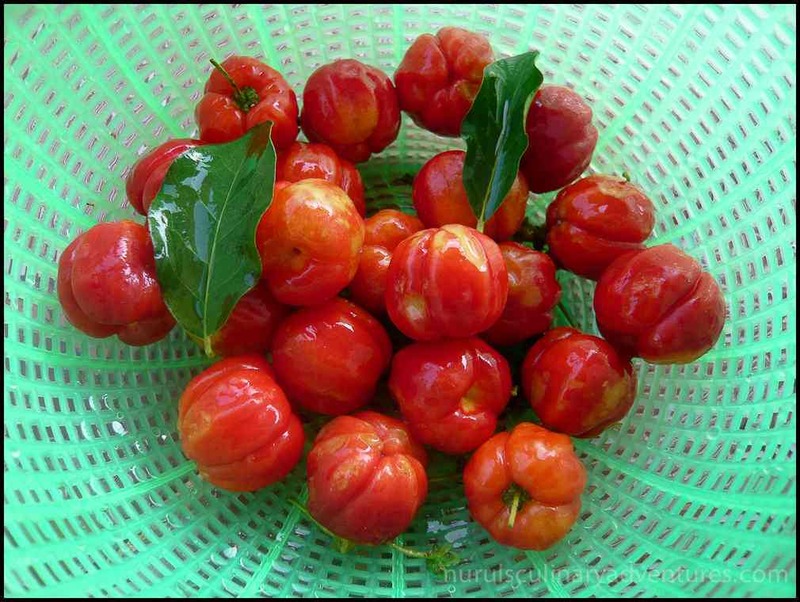 They are the size of cherries and taste nothing like them. In fact cherries taste mush better (if they’re not pumped full of chemicals) in my opinion. But these look just astounding!! They are called Sa’ree in Khmer. Haven’t a clue in English. They are juicy with a bit of crunch, have a hint of sweet and a hint of sour. I ate them with the traditional salt and chilli mix you get with all sour fruits here. In fact I was rather disappointed with the taste. I expected something much more spectacular because of it’s beauty!! So, my blogging posts have become sparse whilst my life hasn’t really become busier, but my mind is somewhat pre-occupied with the events of my life. And there is one shocking event from the past week that has left me almost speechless and very angry. I will write a post about this in the near future once I have digested this real life happening! – Click here to read more as I’ve posted about this event now!! Now back to the my beloved fruits of Asia!! I’m not a fan of custard because we were forced to eat it in primary school (in London of course-for those of you who haven’t read the ‘about me’ section of my blog, I didn’t grow up in Bangladesh!) And I eat the occasional apple but also a pretty boring fruit in my world. 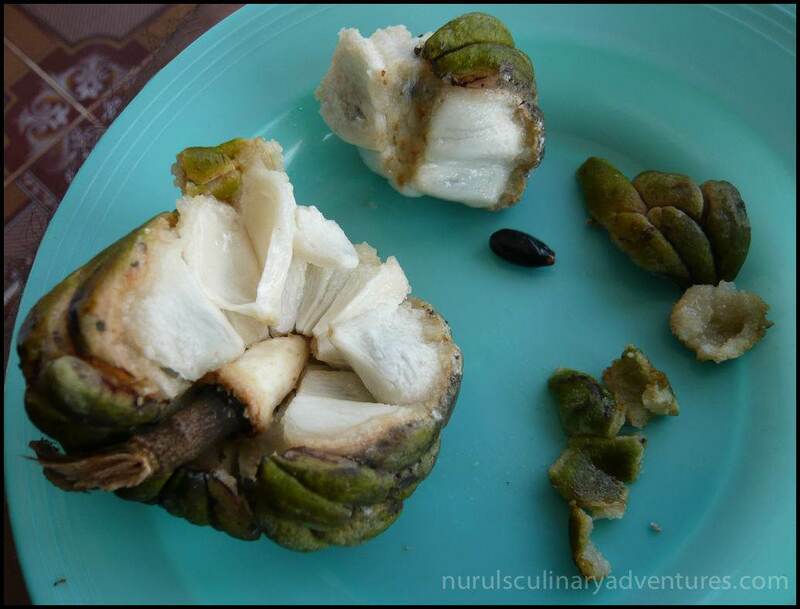 So how about the custard apple (thee’up in Khmer). Nothing like custard or apples (haha!) It looks very similar to a cherimoya (and tastes the same to my taste buds) that I’ve ate many times back in Europe. I’ve just done some online research and they are from the same family. Some say they are the same fruit with a different name but the cherimoya has different skin to the custard apple from my experience. A cherimoya has skin that surrounds the flesh in one piece. When you cut it the skin stays in one piece. This description may be a bit strange but I don’t know how else to word it. 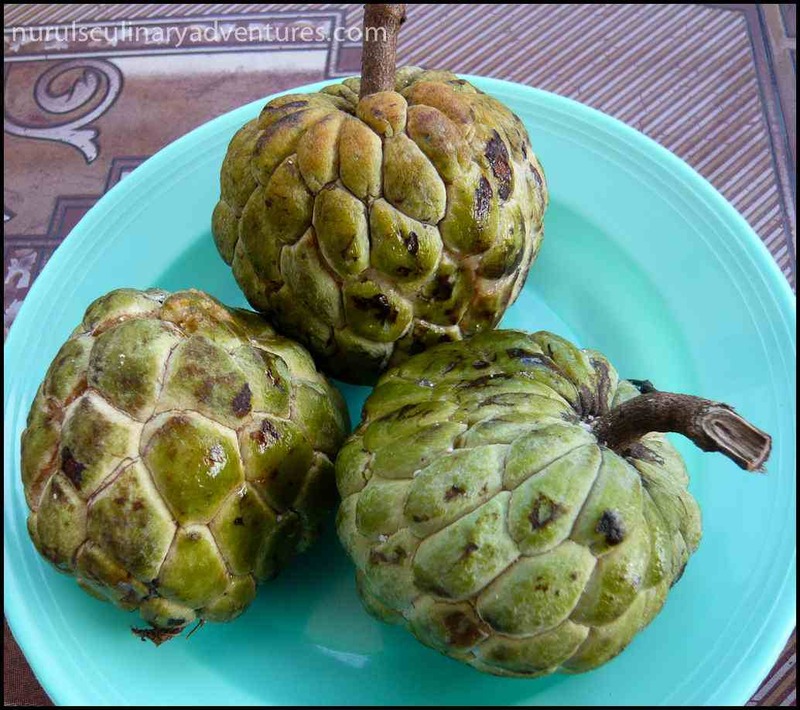 The custard apple has skin that is thick and comes off in segments. You can see the segments in the pictures below. The taste is extremely sweet and the texture creamy and slightly grainy. I love this fruit. 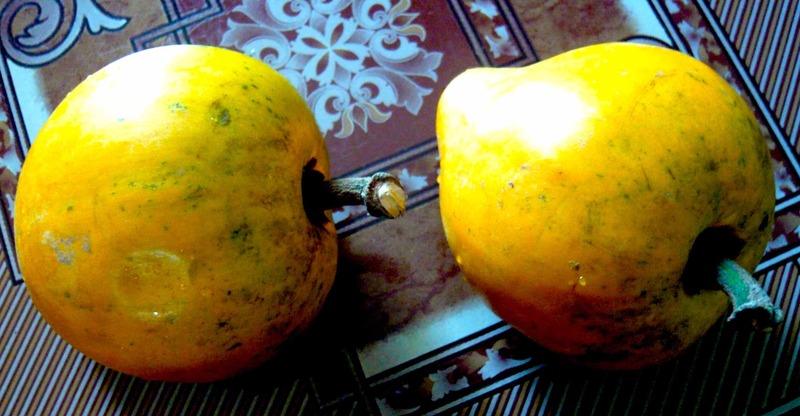 Easy to eat-meaning easy to peel with your bare hands and actually quite filling as a fruit. The fruit flesh comes in segments too surrounding a hard black seed. They are the size of a medium sized apple. You can see below the the skin and fruit flesh segments coming apart with ease! !